We’re proud to announce that 2018 marks the 30th year for Cliff von Langen, a leader in the field of forensic genealogy and international investigations. 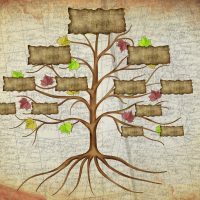 During these thirty years of providing help with heir location, as well as other services making use of our uniquely-equipped team of investigators and forensic genealogists, we’ve tackled a wide range of stimulating cases. Many of these cases have required us to not only dive deep into the public records and private memories in the United States, but also to extend our work into far-flung countries and continents to ensure we provide as thorough and accurate of a report as humanly possible. In one case, our team found itself conducting on-the-ground research in small Eastern European cities to ensure that we had located all of one man’s rightful heirs after his death. In another, Von Langen LLC was tasked with finding all surviving heirs for one John A. Sward. The administrator of Mr. Sward’s estate had become alarmed when a man claiming to work on behalf of “heir hunters” claimed that he represented a number of legitimate heirs of Mr. Sward’s estate and sought to settle these claims—all before the administrator had even begun a formal search for heirs. Unsurprisingly, the reports produced by the impatient “heir hunters” turned out to have major holes, and one heir turned out not to be an heir at all. We’re proud of the work we’ve done and the contributions we’ve made to advance the field of forensic genealogy, and we look forward to what the next thirty years has to bring. While Von Langen LLC celebrates our milestone 30th year helping personal representatives and professional organizations locate missing heirs and determine the veracity of heirship claims, sadly, another longtime presence in the field is making its exit. William Davis, the president and CEO of Brandenburger & Davis, has recently announced that, as of June 15, 2018, his organization will no longer be accepting new cases as a probate research provider. The company, based in Sacramento, California, has been operating since 1932 when it was founded by Sheldon Brandenburger. Its current president announced that the company’s vice president, Paul Hefti, would manage cases that remain ongoing and see them to completion. We at Von Langen LLC respectfully wish Mr. Davis and his longstanding organization the best as they close this chapter of their professional lives. If you are in need of professional, skilled, and effective forensic genealogy services to assist your work as an estate administrator, executor, guardian, trustee, or attorney, contact the offices of Von Langen LLC for a consultation on your case, at 800-525-7722.